The new millennium is an excellent time to be switching to modern advanced simulation technology. Today's simulation industry has advanced significantly compared with only a couple of years ago. 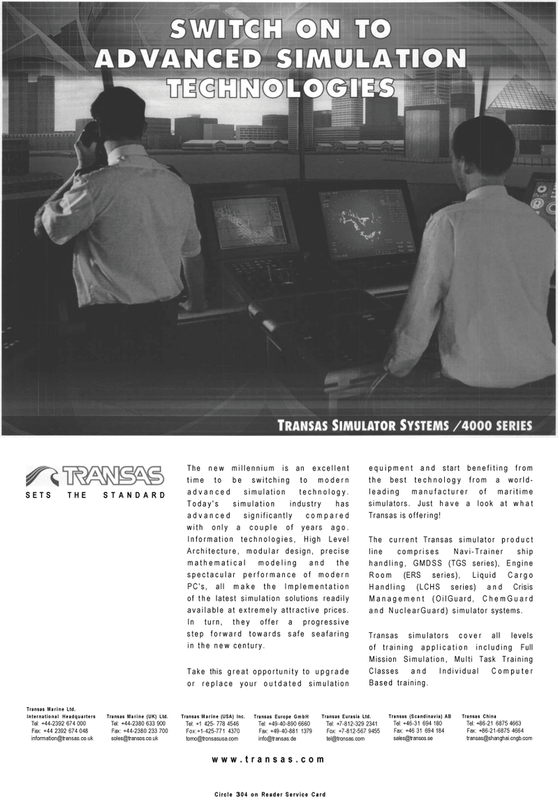 PC's, all make the Implementation of the latest simulation solutions readily available at extremely attractive prices. In turn, they offer a progressive step forward towards safe seafaring in the new century. Management (OilGuard, ChemGuard and NuclearGuard) simulator systems.